Do you love to spend time on your favourite social networks? If you love social networks, here you’ll see some useful and Best Social Networking Apps for your iPhone and iPad. In this article, you can see top social apps for iOS devices which allow users to access all of useful features of their favourite social networks easily from their iPhone or iPad. All of these apps can be installed on your device free of cost. Check the list of best social networking apps. 1. Facebook – Facebook is one of the most popular social networking apps on app store and it comes with lots of useful features. You can access all of useful Facebook features using this app. Facebook app allows you to see your friends activities, share posts, videos and photos, see notification of your friends like and comments, chat with friends and play games. If you love spending time on Facebook, this app could be the best social apps for your iPhone or iPad. 2. 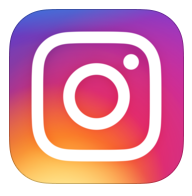 Instagram – Instagram is one of the best social networking platform for smartphone users where they can share their photos with the world. If you want to view or share your photos with the world or your friends, you must have this app on your iPhone and iPad. This app lets you share your beautiful photos and helps you promote yourself. You can also use private messaging features for your close friends. 3. Twitter – Official Twitter Client by Twitter Inc. If you are an active Twitter users and spend most of your time on Twitter for business or personal purpose, this app could be very useful because with this app, you can access all of useful Twitter features easily from your iPhone or iPad. 4. Google Plus – Official Google Plus app that comes with a nice user interface. You can access all of useful Google Plus features through this app such as joining hangouts, posting photos, videos, articles and links, see your circle activities , group chatting with up to 9 friends with mobile hangouts etc. One of the best social networking apps for iPhone and iPad. 5. WhatsApp – One of the most popular social apps for iPhone users and it is mainly known for easy chatting service, but you can find more social networking features in this app. With WhatsApp, you can easily send text messages, photos, videos , group chat, view offline messages from your device. Great app that can be used free of charge. 6. Find my friends – Find My Friends is one of the best social networking apps for iPhone or iPad which can be used to find your friends’ location and share your activities with your friends and family members. The app has some unique features such as friend location tacker, location based alert , privacy and parental restrictions. 7. Pinterest – If you love pining beautiful images, this app could be very useful for you. Pinterest lets you share your favourite pictures on the web easily. You can like, share, comment , follow and make followers on your Pinterest account using this app. One of the best photo sharing social apps for iPhone or iPad. 8. Hootsuite – Hootsuite is one of the best social media managers that can help you to manage multiple social networking accounts easily from a single dashboard. Hootsuite is a popular social media managing tool on the web that helps users to posts messages, see social activities and performance of social promotion and share schedule messages to automate your social accounts. 9. Tango – Tango is a free voice and video calling app that comes with some useful social sharing options. With this app, you can also share your photos and videos. The app lets you chat with a group of up to 50 friends. One of the best social apps which come with many useful features such as- free international video and voice calls, free messages, group chat, photo and video sharing option etc. 10. Skype – Skype is one of the most popular social apps on the appstore and it helps you to make voice and video calls to phone and PC. You can also send messages, share photos to your friends through Skype.